Mixed Metaphors: What are we designing anyway? Is the first step in design structure or content? I’ve been thinking over the weekend about why Chris in the other EPUB class would be telling us “structure first, then content.” It struck me like a huge lightbulb: there’s an assumption there. Every time a designer goes to design something in InDesign, they have a lot more information than they think. Usually, they have the word for word copy in a .rtf or a Word document or something. Whereas, when a web designer goes to design something, it’s usually prefaced by the client saying “make us a website.” So, the first thing a web designer has to get is content. Sometimes, the content is a loose and changing thing. The copy for Ravenna Gardens changes on the growing season, literally what’s fresh. Jill says to design our ePUBS like we’re designing a website, specifically when we are labeling our character and paragraph styles because those are going to be changed into tag names. Today, she showed us how a software called Springy can unzip ePUBs and let the designer mess around with it in code view and then put it back together. She noted that she wished they called it “leading” instead of “line-height.” There’s a great tug of war between our classes since we’re learning book and web design at the same time. Which one is the frame of reference? Naturally there’s going to be a lot of cross-over, but with the constantly evolving technology and need for analogy and skeuomorphs are only going to increase. And let them. Learning is about making connections and the further you can equate two disparate things, the less you have to remember. Today, I was talking with my podmates about their book designs, a small group critique. It seemed like each book had a personality except my own design. 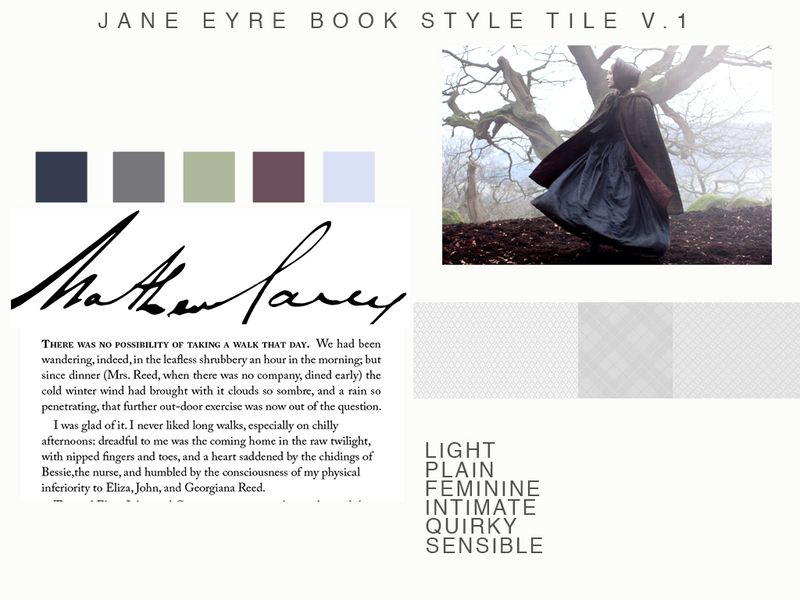 I realized that I hadn’t looked past the genre of the book I am designing (Jane Eyre) which that it is Classic and more importantly, that it is a triumph of spirit and a romance and all those reasons why I chose it. My original idea of slightly updating a classic by adding some modern rules is not valid. (I also tricked out the chapter start– new rule, you can not have a drop cap and a text panel border and a double-rule at the same time. To help me solidify my ideas about what the book’s style is, I’ve decided that there’s no wrong in making a style tile. (Essentially, a style guide in the way that I am now used to doing.) 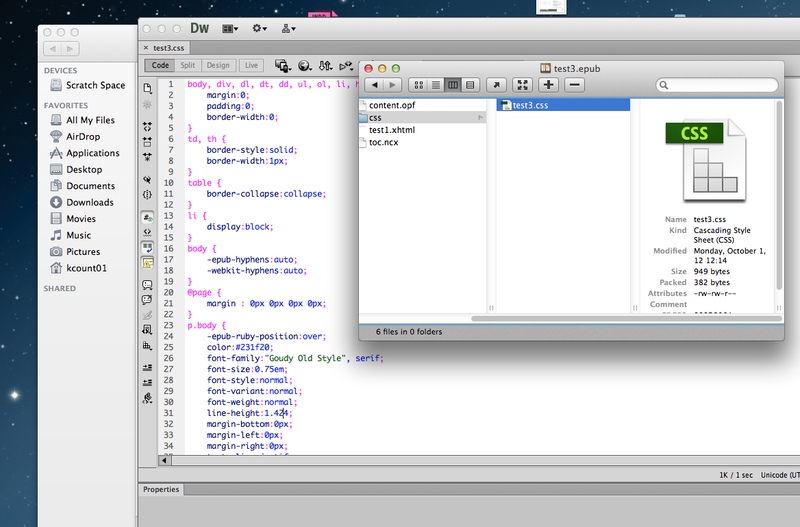 I think the best part about the program is finding ways that work for me. I feel like I am creating processes that help me get inspired and organized, so it’s not this project I am working on, but the process of this project type that will allow me to be a design factory when need be.